A former council depot and car park. 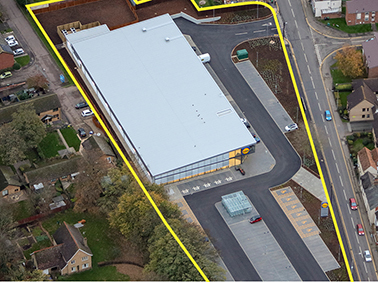 Site acquired from East Northants BC following a development competition. Sold to Lidl upon grant of planning permission. 24,000 sq.ft. store completed November 2014.